Highlander from Italy are Managed by Pippo Cascone and owned by Edoardo Polli. They last competed during the 2004 season. The team were the first to test the Mercury engine during the latter stages of the 2004 season. If you think that the boat resembles Spirit of Norway your right. The boat was previously used by the Spirit of Norway team and has won the World Championship. 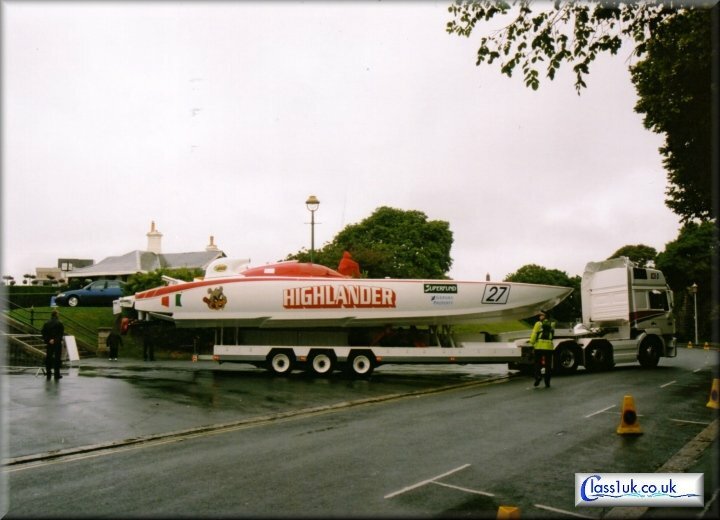 In 2006 the boat was sold to the Ugland Offshore Racing team who used it for a couple of races before selling it to the Spirit Of Norway team where it starts the 2007 season as boat number 20.